Many people have heard about corruption in China as well as the companies that are combating it, both in the Middle Kingdom and abroad. Another company has been brought to light by incumbent Chinese President Xi Jinping immediately after he came to power. However, despite the stated scope and severity of the methods used to combat bribery, in the form of life sentences and executions, the level of corruption in society has yet to be reduced. Rather, the number of people willing to use their authority for personal gains is growing, which inevitably leads to problems both within the ruling circles of the PRC and between the government and the people. It is no coincidence that at the last National Congress of the Communist Party of China, the battle with corruption was named as one of the priorities for the country’s government. Why is the CPC paying so much attention to a subject that is so painful to it, and is the battle with corruption really worth it? The very notion of corruption is deeply rooted in the nation’s consciousness. The scope and prevalence of this phenomenon in Chinese culture is largely due to the traditional Confucian norms of behavior, which for many years took precedence over Chinese laws. In Imperial China, there were clear rules that governed practically every aspect of a person’s life, including their relationship with the authorities. For example, to be received by an official without bringing a gift was considered rude, and one could not expect a positive result in such a case. To this day, the concept of “huanbao” is prevalent in China, a red envelope used to give money to children, people celebrating birthdays, and newlyweds, as well as partners, agents, and civil servants. The amount that is given is not as important as the gift itself, which is of particular importance in interpersonal relationships. All of this is expressed in the Chinese concept of “mai renqing”, buying a person’s feelings, and maintaining the alignment of necessary “guanxi” connections. Of course, the state has always tried to punish officials with unclean hands. However, in China, punishment is not threatened for bribery itself, but only in cases where the official has “lost face”. That is, the official has abused authority and violated prescribed norms of conduct in his/her personal (or clan) interests, which has led to economic or, primarily, social damage, and to general discontent among the people regarding the government. The current leadership of the PRC understands well the importance of ensuring social stability in a country with a population of almost 1.5 billion people. It is for this reason that it is so actively carrying on the battle with corruption, while simultaneously distancing itself from officials with tarnished reputations. For the same reason, the main purpose severity of the punishment is not so much to frighten officials as to satisfy the righteous anger of the ordinary Chinese. Despite all the alarming figures of thousands of people being convicted for corruption in the PRC, in fact things are not as chaotic as they appear. For instance, according to official figures, only about 6% of those accused of corruption are eventually punished, and no more than 3% are placed in prison of sentenced to be executed. Thus, there is no reason to assume that the state’s ruling circles have undertaken to fight corruption as a phenomenon. It is also unlikely that this is possible in general, considering the cultural and historical background, and the extent to which it permeates Chinese society. Nevertheless, the battle with corruption cannot be called fiction. China imprisons and executes not only “flies” (petty bribe-takers, lower-ranking officials), but sometimes also “tigers” (prominent party functionaries), although in these cases, corruption is an excuse, not the motivation. In this way, the elimination of political opponents is often carried out under the guise of combating corruption. This is particularly true for the new generation of the PRC’s leaders, who recently gained power in the country after a sharp confrontation within the CPC. It was important for Xi Jinping’s team to push their competitors within the party out of the state’s management tools in order to be able to implement their declared political and economic agenda. Corruption has another, intra-party dimension as well. Problems controlling the party may threaten both the CPC itself as well as its power within the Middle Kingdom. Bribery within the upper echelons of the communist party is not even effectively concealed. Everyone knows everything about everything. But the fact is that the formation of corrupt schemes leads to stable clans connected by mutual responsibility within the CPC. The presence of multiple groups (factions, clicks) is no secret, and experts offer different sizes and arrangements of the power structure. They are all fighting for dominance in th party and thus the opportunity to implement their own plan for the country’s future. But this battle is substantially weakening the CPC from within, and from this perspective, corruption is indeed a serious threat to national security. The stability of the entire management system depends on how the ruling clan controls the party. The Chinese phenomenon of the “naked official” speaks beautifully on the difficulty of supervising CPC members – public servants whose family and personal possessions are located abroad. For many corrupt officials, this is a method to legitimize what they have “honestly” stolen. According to Professor of the Central Party School Lin Zhe, for the ten years between 1995 and 2005, more than 1 million children and spouses of Chinese officials were relocated abroad. As it turns out, 90% of the members of the Standing Committee of the Politburo of the 17th convocation have close relatives that are citizens or permanent residents in the USA or EU. Also, more than 85% of the members of the Central Committee for Discipline Inspection have relatives living abroad. 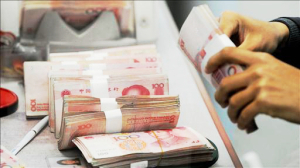 According to the Chinese Academy of Social Sciences, since the middle of the 90s, between 16 and 18 thousand officials of varying ranks have taken out approximately 127 billion US dollars from China. There is an entire specialized network of underground structures toexport and launder stolen funds, as well as to relocate corrupt officials and their families out of the PRC. The key elements in this system are Hong Kong and Macau, where illegally earned capital is pre-laundered, and then invested in Western economies in various forms. All these schemes are built upon and able to function because of the Chinese diaspora throughout the world. In this way, an official makes a deal with semi-legal companies of “overseas” Chinese, and is indebted to them in the future. It may actually be considered to be an overflow of CPC elites into a competing camp of the communist party, which is mainly based abroad and has strong ties with foreign elites. This weakening of the legitimate regime could be catastrophic for the entire state through a loss of controllability. Another aspect that should be taken into account when considering the problem of corruption is the threat to the territorial integrity of the PRC. The fact is that corruption schemes lead to the creation of not only intra-party but also regional clans, thus returning the Middle Kingdom to the dynastic era, in which the integrity of the state always depended on the cohesion of the ruling elite (often not of Chinese origin), and its ability to keep local warlords in line. In the discussion of internal separatism in the PRC, Tibet or Xinjiang is usually brought up, but in these regions in particular, the state is fully capable of keeping the situation under control using force alone. The real danger to the integrity of the state may be intra-Chinese separatism, the foundations of which lie in the uneven development of the regions, as well as language (northern and southern dialects) and mental differences (continental versus coastal). By using these differences, regional clans are fully capable of initiating the process of disintegration of the country to further their own parochial interests, especially in the context of growing social and economic turmoil. Although today it is difficult to believe such a scenario could develop, it is necessary to remember that the majority of China’s history consists of periods of civil strife. It is also worth noting that no change in the political regime or democratic system that Western or Chinese opposition experts consider to be a cure for corruption will actually help combat corruption, but would practically guarantee a loss of controllability of the country, with all its consequences.